Months ago I had an idea for a themed Shabbat dinner: I would invite all of my friends from Commonwealth countries, and have a Queen’s Shabbat. I could serve Commonwealth inspired foods, and it would be a fun night to hang out with friends from all over the world. Since I host Shabbat meals all the time, the idea didn’t seem particularly daunting, but I never seemed to get around to setting a date and sending out an invitation. Right before Pesach I met with Rabbi Yoni Sherizen, who runs the Jewish chaplaincy programs in the UK. 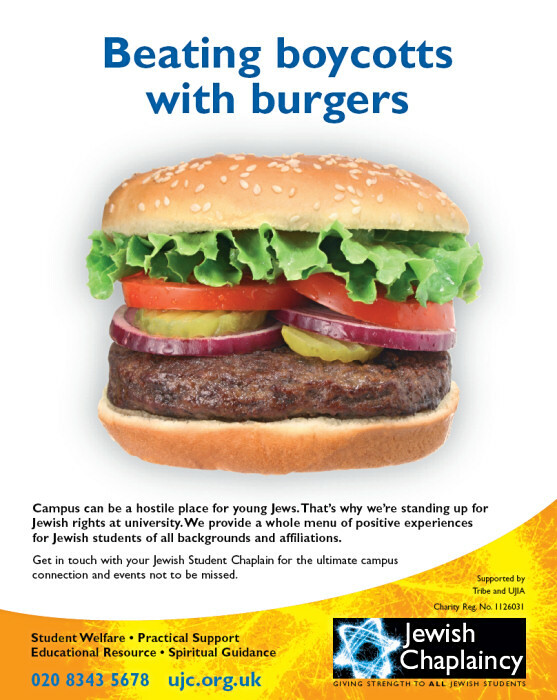 Jewish chaplains (usually a married couple) are sent to live in a college town or on a university campus in order to help provide Jewish services to students at the local university. It’s a lot like Chabad, but without the rebbe, and it’s especially important in the UK, where there have been crazy amounts of anti-Semitism on college campuses. Yoni and his wife Dalia were incredibly helpful to me when I was at Oxford in 2004, and I was concerned about how dire Yoni told me the situation was in so many British universities. Plus, the falling economy has meant a lot of funders have had to cut back, and some universities are in danger of losing their Jewish chaplains. At that point I decided I’d set a date for my Commonwealth Shabbat, and ask everyone to donate to the chaplaincy programs instead of bringing a bottle of wine or doing any cooking. So I went about inviting my friends, and suddenly realized that I know a lot of people from Commonwealths. Originally, not that many people responded. It seemed like it would be a smallish group. But then suddenly everyone was bringing friends, and it looked like my small Upper West Side apartment was going to have to hold more than twenty guests! Eek! Plus, that meant a lot of cooking. And I really wanted to use as much local and organic produce as possible, which would also probably be expensive. And once I really started looking, I couldn’t find many Commonwealth themed foods that weren’t really meaty. I realized I didn’t even have twenty plates, and would never be able to bring myself to serve on paper. Briefly, I wondered about calling the whole thing off. But then I remembered that in college, I cooked Shabbat dinner for 35 people every single week. I would have to budget both my time and my money, but it was a totally doable endeavor, and I tried to keep the folks at Jewish Chaplaincies in mind as I pushed my anxieties aside and got organizing. In the end, I decided to skip the Commonwealth food idea, since it simply wouldn’t be vegetarian friendly. I would just make recipes I liked and felt confident with. I did the first round of grocery shopping on Sunday, including going to a farmer’s market to get local organic milk so I could make my own cheese, and picking up a few sets of Preserve recyclable plastic dishes. I started out making some of the desserts, which I figured I could freeze until Thursday. Then I roasted some of the veggies that I’d be using in the salad, and made my own ricotta. On Wednesday I went to the Union Square Greenmarket for a final shopping expedition, and by Thursday night I was in full cooking mode, making three dishes at a time, and perilously stacking Tupperware in my fridge. It wasn’t anywhere near as easy as my normal Shabbat dinner preparations. It wasn’t cheap, either (including wine, I probably spent about $300 for 20 people, which comes out to $15 per person), and I spent all of Friday afternoon frantically worrying that there wouldn’t be enough food. But when my guests began arriving, and we were all crowded into the kitchen for Kiddush and introductions, I knew it was worth it. Countries represented at my Commonwealth Shabbat: England, Canada, Australia, South Africa, India, Trinidad & Tobago, Hong Kong, and Antigua and Nauru by proxy. Plus there were plenty of Yanks. The meal was a huge success. I raised money for the chaplains in the UK, hung out with lots of people with cool accents, and there was enough food for everyone. Yay! Or as we say in the Commonwealth: God Save the Queen!